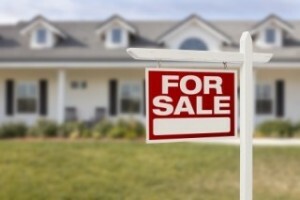 Selling your current home and buying a new one often go hand in hand. While this can sometimes be stressful to deal with all at once, you will have the satisfaction of knowing that your case is being handled by a dedicated solicitor/conveyancer at Sam Hawking Property Lawyers. It is an exciting time to be selling a place you have been living in for some years and moving on. Once you have had an offer on your property, and have a buyer lined up, everything can begin to happen quite fast. Of course you want the process to be completed, and the sale to go through as quickly as possible, but it can be all too easy to become overwhelmed and let everything get on top of you. Experienced conveyancers will help make the whole process run as smoothly as possible, while also making sure the legal work is completed properly. A lot of sellers are initially unaware of the various processes that selling a house requires, but specialist conveyancers, like those at Sam Hawking Property Lawyers, will be able to guide every seller through each stage of the process, from start to finish. We have years of experience in dealing with all aspects of property law, and are well prepared for any eventualities that might present a slight delay or detour. It is our absolute priority to ensure that we keep the whole process as transparent as possible for you, and keep you informed and up to date every step of the way.